We all know that a great teacher can have a huge impact, but is it simply a matter of natural charisma, or can it be taught? Author and journalist Elizabeth Green spent six years interviewing educators and researchers who have devoted their lives to finding the answer. The fascinating results are revealed in her new book, Building A Better Teacher, How Teaching Works (and How to Teach It to Everyone). Julie Giannini Previde was a teacher for 15 years before becoming the principal for McKinleyville Middle School. She shares how the challenges and the triumphs she faced in the classroom have fortified her as a principal and candidly talks about what needs to be addressed in education now. This is part one of a two-part series on education. Next week the conversation continues with Elizabeth Green and Julie Giannini Previde as host Lynette Nutter talks with them about the Common Core; what’s good and what are the challenges teachers, administrators, and parents are trying to figure out. 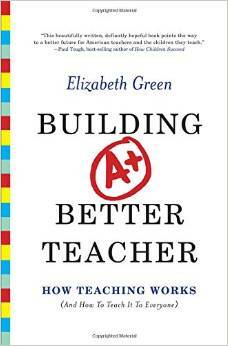 Building A Better Teacher, by Elizabeth Green is available now.